The final Bugatti Veyron Hypercar was put on display at the 2015 Geneva Motor Show for the first time. Dubbed the “La Finale” due to it being the 450th and final Veyron to be produced, the auto was reported to have been sold to a Middle East Collector for a significant sum of money. 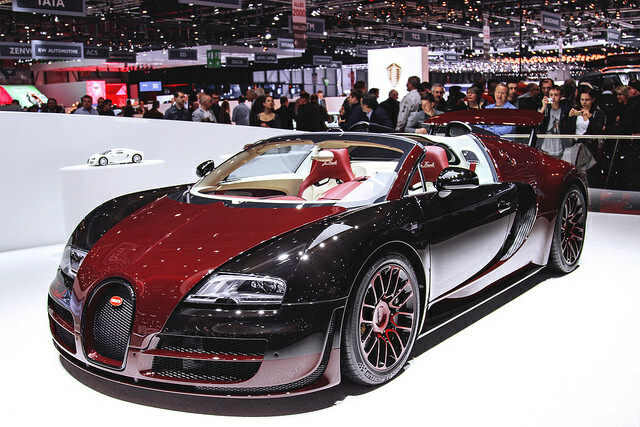 Bugatti used the original Veyron to inspire the design of the final model to include a two-tone paint finish made of red exposed and conventional black carbon fiber. The auto includes a turbocharged, 8.0 liter W-16 engine and rates a ridiculous 1,183 horsepower along with 1,106 pound-feet of torque. La Finale can go from zero to 61 in 2.5 seconds and boasts the top speed for all open-top production cars in the world of 254 MPH.